David Quan is a freelance music consultant that specializes in music publishing, music business affairs, and music supervision. His recent clients include BMG/Chrysalis, Peermusic, North Hudson Music, and SQE Music where he was responsible for issuing quotes and licenses for uses of music in audio/video media such as film, tv, videogames. Prior to joining the studio system, he worked at various music publishing companies including Warner/Chappell, Leiber & Stoller, Music & Media, All Nations Music, China Music Management and he represented some of the most highly regarded songwriters including Leiber & Stoller, Henry Mancini, Mike Chapman, Holland/Dozier/Holland, Danny Elfman, Ashford & Simpson, Greg Barnhill, and many others. David is a native of Los Angeles, and he graduated from the California State University at Los Angeles with a B.S. Degree in Marketing. 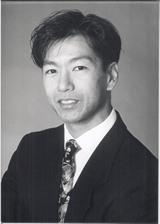 He later attended the University of Southern California and graduated with an MBA in Corporate Finance. He also earned Certificates of Completion in Music Business from the University of California, Los Angeles and in Vocal Performance from Musicians Institute. In his spare time, he enjoys beach volleyball, tennis, hiking, listening to music and watching sci fi movies.